[S517] Transcript of the 1881 Census for Deptford, London: RG11 Piece 0707 Folio 58 Page 40. [S2] GRO Indexes to Births. "1879/Q1 PASK, Walter Greenwich 1d 939." [S522] Image of the 1891 Census for Deptford, London: RG12 Piece 498 Folio 46 Page 8. Indexed incorrectly under the name of PARK. [S368] Transcript of the 1901 . "PRO Ref RG13 Piece 1114 Folio 68 Page 10." Source: GRO Natal & South African Forces Death (1899 to 1902). [S703] Image of the 1881 Census for Haverhill, Essex: RG11 Piece 1821 Folio 82 Page 41. [S2] GRO Indexes to Births. "GRO Online Index: 1852/Q2 PASK, Stephen Cornell CORNELL Risbridge 4a 363." [S855] Image of the 1871 Census for Haverhill, Suffolk: RG10 Piece 1711 Folio 118 Page 28. [S862] Image of the 1861 Census for Haverhill, Suffolk: RG9 Piece 1124 Folio 116 Page 54. Indexed incorrectly under the name of PARK. [S1845] Family Tree of Stephen Cornell Pask compiled by Sheila Maxwell of Saskatchewan, Canada in December 2005. [S3] GRO Indexes to Marriages. "1873/Q4 PASK, Stephen Cornell Risbridge 4a 890." [S858] Image of the 1891 Census for Haverhill, Suffolk: RG12 Piece 1435 Folio 78 Page 37. Indexed incorrectly under the name of PARK. [S859] Image of the 1901 Census for Shudy Camps, Cambridgeshire: RG13 Piece 1535 Folio 106 Page 1. [S5551] Image of the 1911 Census : RG14PN10496 RG78PN560 RD204 SD1 ED2 SN96. [S4] GRO Indexes to Deaths. "1928/Q2 PASK, Stephen C. Risbridge 4a 948 age 75." Notes : Miller From : Haverhill Ref : 4585. [S417] Website Ancestry Civil Registration - Marriages: "1873/Q4 PASK, Stephen Cornell Risbridge 4a 890 = PHILLIPS, Maria." [S4] GRO Indexes to Deaths. "1941/Q1 PASK, Maria Cambridge 3b 1485 age 89." [S1807] E-mail from Sheila Maxwell to Stuart & Teresa Pask dated 28 November 2005. [S2] GRO Indexes to Births. "GRO Online Index: 1874/Q4 PASK, Aubrey Oliver Phillips PHILLIPS Saffron W. 4a 424." [S5002] Website Ancestry: Year: 1911; Census Place: 17, Saltcoats, Saskatchewan; Page: 8; Family No: 84. [S3193] Letter from Dorothy Pask to Stuart Pask, dated May 6, 2008 Corrections for PASKs of Suffolk Volumes I & II. [S5002] Website Ancestry: Reference Number: RG 31; Folder Number: 160; Census Place: Saltcoats, Saskatchewan; Page Number: 21. [S3] GRO Indexes to Marriages. "1916/Q1 PASK, Aubrey G. WILKINSON Peterbro' 3b 482." [S3] GRO Indexes to Marriages. "1916/Q1 WILKINSON, Emily PASK Peterbro' 3b 482." [S1807] E-mail from Sheila Maxwell to Stuart & Teresa Pask dated 2 July 2008. [S1807] E-mail from Sheila Maxwell to Stuart & Teresa Pask dated 3 July 2008. [S871] Information supplied verbally by Dorothy Pask. Dated 31 March 2005. [S3] GRO Indexes to Marriages. "1902/Q4 PASK, Florence Gertrude A. Ely 3b 1279." [S2] GRO Indexes to Births. "1876/Q3 PASK, Florence Gertrude Risbridge 4a 470." [S860] Image of the 1901 Census for St. Pancras, London: RG13 Piece 136 Folio 127 Page 6. [S3] GRO Indexes to Marriages. "1902/Q4 PASK, Florence Gertrude A. = CROSS, Arthur George Ely 3b 1279." In honor of the 55th wedding anniversary, on July 18th, of Mr. and Mrs. Stephen Pask, of Zeneta, Sask., the family gathered at home over the weekend. 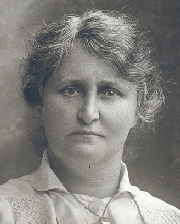 Mrs. Pask was the former Sarah Common, of Hazelcliffe, Sask., and the ceremony in 1905 took place at the bride's home, with Rev. J. Douglas (later Senator Douglas) officiating. On Sunday, July 17th, Mr. and Mrs. Pask received friends at a reception from 3 to 5.30 p.m. Mrs. Walter Jeske, of Esterhazy, Sask., who was bridesmaid at the wedding, was among those present, but Mr. Oliver Pask, who was groomsman, was unable to come from his home in Victoria. On Monday, July 18th, which was also Mr. Pask's 82nd birthday, a family dinner was held at the home of Mr. and Mrs. S. J. Pask, in Atwater, to celebrate the double event. [S2] GRO Indexes to Births. "GRO Online Index: 1878/Q3 PASK, Stephen PHILLIPS Risbridge 4a 508." [S2] GRO Indexes to Births. "GRO Online Index: 1880/Q4 PASK, Ruby Elizabeth PHILLIPS Risbridge 4a 515." [S1855] Image of the 1901 Census for Beachcroft, Great Clacton, Essex: RG13 Piece 1696 Folio 31 Page 22. Indexed incorrectly under the name of PASH. [S4] GRO Indexes to Deaths. "1952/Q4 PASK, Ruby E. Totnes 7a 747 age 72." [S854] Image of the 1881 Census for Haverhill, Suffolk: RG11 Piece 1821 Folio 103 Page 33. [S384] Website FamilySearch Internet (http://www.familysearch.org) : Batch No. C078641. [S366] Contact through Website Genes Reunited (http://www.genesreunited.co.uk) : Clive Burt on 10 April 2009 : http://www.genesreunited.co.uk/tree/?member_key=7654034. [S1204] Letter from Dorothy Pask to Stuart Pask, dated 27 January 2005 Reference to John & Ros PASK's family tree. [S1194] Image of the 1841 Census for Wickhambrook, Suffolk: HO107 Piece 1033 Book 11 Folio 45-46 from Archive CD Books. [S3] GRO Indexes to Marriages. "1846/Q4 PASK, John Risbridge 12 835." [S3] GRO Indexes to Marriages. "1846/Q4 CORNELL, Sarah Risbridge 12 835." [S1195] Image of the 1851 Census for Stradishall, Suffolk: HO107 Piece 1787 Folio 414 Page 5. [S4] GRO Indexes to Deaths. "1872/Q4 PASK, Sarah Risbridge 4a 258 age 50." [S27] Website National Burial Index (NBI) @ FindMyPast (www.findmypast.co.uk: ) 28 Dec 1872 Sarah PASK 50 Suffolk Haverhill, Cemetery. Notes : wf John From : Haverhill Ref : 373. [S3] GRO Indexes to Marriages. "1874/Q4 PASK, John Risbridge 4a 827." [S3] GRO Indexes to Marriages. "1874/Q4 BIGMORE, Isabella Risbridge 4a 827." [S856] Image of the 1891 Census for Haverhill, Suffolk: RG12 Piece 1436 Folio 13 Page 18. Indexed incorrectly under the name of PARKE. [S3345] Will of Thomas Oliver Pask. [S4] GRO Indexes to Deaths. "1899/Q1 PASK, John Risbridge 4a 459 age 76." [S27] Website National Burial Index (NBI) @ FindMyPast (www.findmypast.co.uk: ) 25 Feb 1899 John PASK 76 Suffolk Haverhill, Cemetery. Notes : Miller From : Haverhill Ref : 2496. The Ipswich Journal (Ipswich, England), Saturday, January 16, 1864; Issue 6506. [S2] GRO Indexes to Births. "GRO Online Index: 1854/Q3 PASK, Sarah CORNELL Risbridge 4a 324." [S2] GRO Indexes to Births. "GRO Online Index: 1855/Q3 PASKE, Sarah Ann CORNELL Risbridge 4a 337." [S2] GRO Indexes to Births. "GRO Online Index: 1857/Q3 PASK, Female CORNELL Risbridge 4a 343." [S2] GRO Indexes to Births. "GRO Online Index: 1859/Q1 PASK, Thomas Oliver CORNELL Risbridge 4a 413." [S2] GRO Indexes to Births. "GRO Online Index: 1862/Q3 PASK, Florence Ann Maria CORNELL Risbridge 4a 364." [S2] GRO Indexes to Births. "GRO Online Index: 1864/Q2 PASK, Ruth Elizabeth CORNELL Risbridge 4a 410." [S2] GRO Indexes to Births. "GRO Online Index: 1869/Q1 PASK, Agatha CORNELL Risbridge 4a 443." [S756] Information from the 1871 Census from Ancestry.co.uk - 1871 England & Wales Census (http://www.ancestry.co.uk). Further details available upon request. "RG10 Piece 1711 Folio 108 Page 7." [S857] Image of the 1901 Census for Haverhill, Suffolk: RG13 Piece 1738 Folio 45 Page 21. [S4999] Website UK Government Probate Search Service: 1901: PASK Thomas Oliver of Haverhill Suffolk miller died 6 March 1901 Probate Bury St. Edmund's 23 April to Charles Provart Keeble farmer Isabella Pask widow and Sarah Pask spinster Effects £803 19s 9d. [S4] GRO Indexes to Deaths. "1918/Q2 PASK, Isabella Risbridge 4a 839 age 73." Notes : Widow From : Haverhill Ref : 4048. [S1961] E-mail from David J. Bigmore to Stuart & Teresa Pask dated 14 February 2006. [S4] GRO Indexes to Deaths. "1901/Q1 PASK, Thomas Oliver Risbridge 4a 474 age 42." Notes : Miller From : Haverhill Ref : 2697. [S4] GRO Indexes to Deaths. "1933/Q3 PASK, Florence A. M. Risbridge 4a 791 age 71." Notes : None From : Haverhill Ref : 4900. [S1395] Image of the 1891 Census for Woolpit, Suffolk: RG12 Piece 1455 Folio 144 Page 9. [S3] GRO Indexes to Marriages. 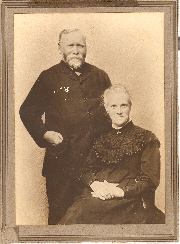 "1899/Q2 PASK, Ruth Elizabeth = THOMPSON, Robert Hayhow Bury St. Edmunds 4a 1450." [S861] Image of the 1901 Census for Bury St. Edmunds, Suffolk: RG13 Piece 1755 Folio 105 Page 6. [S2614] E-mail from Francis Beaumont to Stuart & Teresa Pask dated 5 Jun 2007. [S4] GRO Indexes to Deaths. "1945/Q1 PASK, Agatha Bury St E 4a 1424 age 75." [S1365] Image of the 1881 Census for Hargrave, Suffolk: RG11 Piece 1838 Folio 54 Page 15. Parents Father John Pask Mother Mary Pask. [S182] 1881 Census for Hargrave, Suffolk. Full details upon request: FHL Film 1341445 PRO Ref RG11 Piece 1838 Folio 54 Page 15. [S138] E-mail from Edwin Prockter to Stuart & Teresa Pask dated 10 June 2004: 1851 Census Index Hargrave - Folio 239. [S384] Website FamilySearch Internet (http://www.familysearch.org) : Batch C078291. [S657] Letter from Jo Pask to Stuart Pask, dated 13 April 2004. [S384] Website FamilySearch Internet (http://www.familysearch.org). [S5500] Website Parish Records Collection 1538-2005 (www.findmypast.com) : 01 Jun 1832 Wickhambrook Suffolk: PASK, Oliver = SUTTLE, Sophy. [S1197] Image of the 1841 Census for Hargrave, Suffolk: HO107 Piece 1037 Book 6 Folio 5 from Archive CD Books. [S1429] Image of the 1851 for Hargrave, Suffolk: HO107 Piece 1790 Folio 239 Page 28. [S638] Image of the 1861 Census for Hargrave, Suffolk: RG9 Piece 1138 Folio 62 Page 28. [S637] Image of the 1861 Census for Hargrave, Suffolk: RG9 Piece 1138 Folio 62 Page 27. [S694] Image of the 1871 Census for Hargrave, Suffolk: RG10 Piece 1725 Folio 25 Page 76. [S332] E-mail from Colleen Morrison to Stuart & Teresa Pask dated 30 November 2004. [S1415] Transcript of the marriage of John Pask and Kesia Blackshire, 19 October 1873. Kindly provided by Anni Berman - GOONS Marriage Challenge. [S4] GRO Indexes to Deaths. "1874/Q2 PASK, Sophia Thingoe 4a 314 age 63." [S387] Website Family History Online (http://www.familyhistoryonline.net: ) Sophia PASK 20 Jun 1874 Aged 63 Hargrave. [S1366] Image of the 1891 Census for Hargrave, Suffolk: RG12 Piece 1448 Folio 50 Page 15. [S1959] Transcript of the marriage of Stephen Pask and Anna Jane Bassett, 5 December 1892. Kindly provided by Michael Debenham - Newmarket GOONS Marriage Challenge. [S4] GRO Indexes to Deaths. "1892/Q4 PASK, Oliver Thingoe 4a 3?1 age 87." [S27] Website National Burial Index (NBI) @ FindMyPast (www.findmypast.co.uk: ) 7 Nov 1892 Oliver PASK 87 Suffolk Hargrave, St Edmund. [S2] GRO Indexes to Births. "GRO Online Index: 1839/Q2 PASK, Phillip SUTTLE Thingoe 13 474." [S2] GRO Indexes to Births. "GRO Online Index: 1842/Q3 PASK, Simeon SUTTLE Thingoe 13 440." [S2] GRO Indexes to Births. "GRO Online Index: 1842/Q3 PASK, John SUTTLE Thingoe 13 440." [S2195] Transcript of the marriage of Nathan Pask and Susannah Phillips, 29 May 1871. Kindly provided by Sandra Stevens - GOONS Marriage Challenge. [S2196] Transcript of the marriage of Nathan Pask and Harriet Plummer, 10 October 1889. Kindly provided by Sandra Stevens - GOONS Marriage Challenge. [S2] GRO Indexes to Births. "GRO Online Index: 1845/Q4 PASK, Nathan Oliver SUTTLE Thingoe 13 467." [S2198] Transcript of the marriage of George Plummer and Melinda Pask, 10 November 1870. Kindly provided by Sandra Stevens - GOONS Marriage Challenge. [S2] GRO Indexes to Births. "GRO Online Index: 1848/Q3 PASK, Melinda SUTTLE Thingoe 13 485." [S183] 1881 Census for Bury St. Edmunds, Suffolk. Full details upon request: FHL Film 1341446 PRO Ref RG11 Piece 1844 Folio 103 Page 32. [S4] GRO Indexes to Deaths. "1889/Q3 Bury St. E. 4a 344 age 82." [S1325] Image of the 1861 Census for Bury St. Edmunds, Suffolk: RG9 Piece 1141 Folio 47 Page 7. Indexed incorrectly under the name of PARK. [S387] Website Family History Online (http://www.familyhistoryonline.net: ) Suffolk Marriage Index: James Paske Bury S Mary Harriet Eliz Mills Bury St James 22 Feb 1830. 1830 Bury St Edmunds St James, Suffolk: PASKE, James = MILLS, Har E.
22 Feb 1830 Bury St. Edmunds St. James Suffolk: PASKE, James = MILLS, Harriet Eliz. [S1338] Image of the 1841 Census for Bury St. Edmunds, Suffolk: HO107 Piece 1042 Folio 40 Page 26 from Archive CD Books. [S1202] Image of the 1851 for Bury St. Edmunds, Suffolk: HO107 Piece 1792 Folio 278. Kindly provided by Dorothy Pask. [S1483] Transcript of the marriage of George Ranson and Mary Ann Pask, 22 September 1863. Kindly provided by Sandra Stevens - GOONS Marriage Challenge. [S4] GRO Indexes to Deaths. "1867/Q3 PASK, Harriet Elizabeth Bury St. E. 4a 279 age 59." [S3] GRO Indexes to Marriages. "1870/Q1 PASK, James Bury St. E. 4a 634." [S417] Website Ancestry Civil Registration - Marriages: "1870/Q1 PASK, James Bury St. E. 4a 634 = Agness EDGAR." [S1326] Image of the 1871 Census. [S1327] Image of the 1881 Census for Bury St. Edmunds, Suffolk: RG11 Piece 1844 Folio 103 Page 32. [S4] GRO Indexes to Deaths. "1889/Q3 PASKE, James Bury St. E. 4a 344 age 82." [S1472] Copy of the death certificate, kindly provided by Dorothy Pask, of James Pask, 22 September 1889. [S27] Website National Burial Index (NBI) @ FindMyPast (www.findmypast.co.uk: ) 26 Sep 1889 James PASK 82 Suffolk Bury St Edmunds, Cemetery. [S6] Teresa & Stuart Pask's Guesses, Theories and Speculations. [S1329] Transcript of the marriage of Henry Pask and Christiana Drake, 15 October 1861. Kindly provided by Sandra Stevens - GOONS Marriage Challenge. 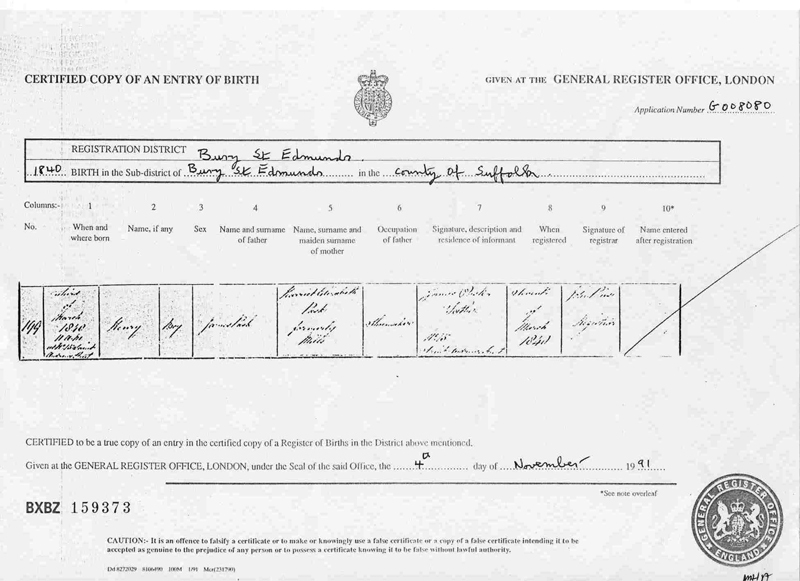 [S1475] Copy of the birth certificate of Henry Pask, born 3 March 1840 (? very faint). Kindly provided by Dorothy Pask. [S2] GRO Indexes to Births. "GRO Online Index: 1840/Q1 PASK, Henry MILLS Bury St. Edmunds 13 409." [S2] GRO Indexes to Births. "GRO Online Index: 1842/Q2 PASK, Edward Mills MILLS Bury St. Edmunds 13 401." [S1119] Image of the 1881 Census for St. Pancras, London: RG11 Piece 0196 Folio 12 Page 19. [S2] GRO Indexes to Births. "GRO Online Index: 1844/Q2 PASK, Jemima MILLS Bury St. Edmunds 13 413." [S2] GRO Indexes to Births. "GRO Online Index: 1849/Q3 PASK, Oliver MILLS Bury St. Edmunds 13 405." [S66] Website FreeBMD (http://www.freebmd.org.uk) : Marriage Cross-referenced. [S1481] Image of the 1891 Census for Bury St. Edmunds, Suffolk: RG12 Piece 1451 Folio 81 Page 12. [S4] GRO Indexes to Deaths. "1900/Q1 PASK, Agnes Bury St. E. 4a 600 age 59." [S27] Website National Burial Index (NBI) @ FindMyPast (www.findmypast.co.uk: ) 15 Mar 1900 Agnes PASK 59 Suffolk Bury St Edmunds, Cemetery. [S184] 1881 Census for Kedington, Suffolk. Full details upon request: FHL Film 134144 PRO Ref RG11 Piece 1822 Folio 45 Page 8. [S1377] Baptism Registers Indexed transcript, Kedington, Suffolk, Baptisms 1563-1812 "1812 May 3 PASKE Eliza, daughter of Henry and Frances (WALLEKER) born 26 December 1811." [S421] Transcript of the Baptism Registers of Kedington, Suffolk, compiled by Edwin Prockter. "03.05.1812 Eliza to Henry & Frances PASKE, late WALLAKER." [S4043] Image of the 1841 Census for Calford Green, Kedington, Suffolk: HO107 Piece 0332 Book 1a Page 7. Enumerated under the name of PASH, and indexed under the name PARSH. [S1444] 1851 Index, for Kedington, Suffolk: HO107 Piece 1787 Folio 170. [S644] Image of the 1861 Census for Kedington, Suffolk: RG9 Piece 1124 Folio 138 Page 29 from Archive CD Books. [S531] Image of the 1871 Census for Kedington, Suffolk: RG10 Piece 1711 Folio 77 Page 8. [S530] Transcript of the 1881 Census for Kedington, Suffolk: RG11 Piece 1822 Folio 45 Page 8. [S513] Transcript of the 1881 Census for Kedington, Suffolk: RG11 Piece 1822 Folio 45 Page 8. [S421] Transcript of the Baptism Registers of Kedington, Suffolk, compiled by Edwin Prockter. "26.03.1843 Emily to Eliza PASKE - Spinster." [S2] GRO Indexes to Births. "1856/Q2 PASK, John Oliver Bury St. E. 4a 455." [S1373] Image of the 1881 Census for Bury St. Edmunds, Suffolk: RG11 Piece 1844 Folio 38 Page 32. [S1372] Image of the 1861 Census for Bury St. Edmunds, Suffolk: RG9 Piece 1141 Folio 58 Page 29. Indexed incorrectly under the name of PARLE. [S613] Image of the 1871 Census for St. James, Bury St. Edmunds, Suffolk: RG10 Piece 1728 Folio 245 Page 26. [S3] GRO Indexes to Marriages. "1882/Q3 PASK, John Oliver Bury St. E. 4a 864." [S417] Website Ancestry Civil Registration - Marriages: "1882/Q3 PASK, John Oliver Bury St. E. 4a 864 = Ellen Mary WALTON." [S615] Image of the 1891 Census for Bungay, Suffolk: RG12 Piece 1487 Folio 149 Page 11. [S612] Image of the 1901 Census for Ross, Herefordshire: RG13 Piece 2475 Folio 30 Page 17. [S4] GRO Indexes to Deaths. "1940/Q1 PASK, John O. Ross 6a 1736 age 83." [S3185] "Family Tree of Samuel John & Nancy Pask née Faiers", dated 21 May 2008 compiled by John Anthony Pask. [S3] GRO Indexes to Marriages. "1891/Q1 Islington 1b 5?0." [S2] GRO Indexes to Births. "1861/Q1 PASK, Samuel Jonson Bury St. E. 4a 452." [S3] GRO Indexes to Marriages. "1891/Q1 PASK, Samuel Johnson Islington 1b 550." [S2794] Image of the 1901 Census for 17 Haddon Terrace, Barnet, Middlesex: RG13 Piece 1232 Folio 77 Page 28. Indexed incorrectly under the name of PARK. [S4] GRO Indexes to Deaths. "1910/Q4 PASK, Samuel J. Chesterton 3b 244 age 49." [S2313] Image of the 1881 Census for Stansfield, Suffolk: RG11 Piece 1823 Folio 124 Page 11. [S632] Image of the 1851 for Melon Green, Whepstead, Suffolk: HO107 Piece 1791 Folio 157 Page 29-30. [S2] GRO Indexes to Births. "1847/Q2 PASK, Thomas Thingoe 13 492." [S2278] E-mail from Melaine Carter to Stuart & Teresa Pask dated 23 November 2008: The Pask Family Narrative. [S633] Image of the 1861 Census for Whepstead, Suffolk: RG9 Piece 1137 Folio 110 Page 27. [S3] GRO Indexes to Marriages. "1872/Q4 PASK, Thomas Bury St. E. 4a 1068." [S3] GRO Indexes to Marriages. "1872/Q4 TYTE, Hephzibah Maria Bury St. E. 4a 1068." [S614] Image of the 1891 Census for Stansfield, Suffolk: RG12 Piece 1437 Folio 47 Page 2. [S672] Image of the 1901 Census for Felixstowe, Suffolk: RG13 Piece 1784 Folio 54 Page 23-24. Indexed incorrectly under the name of PARK. [S4] GRO Indexes to Deaths. "1916/Q3 PASK, Thomas Woodbridge 4a 943 age 69." [S2889] Memorial card for the funeral of Thomas Pask, 30 August 1916 . Kindly provided by Jo Pask. [S4999] Website UK Government Probate Search Service: PASK Thomas of Felixstowe Suffolk butcher died 30 August 1916 Probate Ipswich 30 November to Hepzibah Maria Pask widow. Effects £563 9s. 1d. [S2] GRO Indexes to Births. "1874/Q4 PASK, Daisy Hephzibah Bury St. E. 4a 514." [S6] Teresa & Stuart Pask's Guesses, Theories and Speculations: Based on date and location. [S2] GRO Indexes to Births. "1850/Q1 TYTE, Hephzibah Maria Bury St. Eds 13 440." [S4] GRO Indexes to Deaths. "1919/Q1 PASK, Hephzibah M. Woodbridge 4a 1495 age 69." [S2] GRO Indexes to Births. "1873/Q4 Bury St. E. 4a 491." [S3] GRO Indexes to Marriages. "1904/Q4 PASK, Mabel Nettie Woodbridge 4a 2027." [S5] Website Miscellaneous Clare - Roll of Honour : "Ordinary Seaman Z/9588, Royal Naval Depot (Crystal Palace), Royal Naval volunteer Reserve. Died 11th October 1918. Son of Emma Ince, and the late Harry George Ince; husband of Mabel Nettie Ince, of Govan House, Manning Road, Felixstowe. Buried in CLARE CEMETERY, Clare, Suffolk. Grave 877." [S4] GRO Indexes to Deaths. "1961/Q3 INCE, Mabel N. Samford 4b 762 aged 87." Name requested for this monument: Daisy Winifred Pask.